I LOVE risotto! I know it is not the healthiest dish, chicken stock, white wine, butter and parm cheese. But, I did manage to work in a few vegetables. I used the shelling peas from Birdsong, and some asparagus that I already had. The peas were so good in this. I blanched the veggies and put them in at the end, when the risotto was already done. 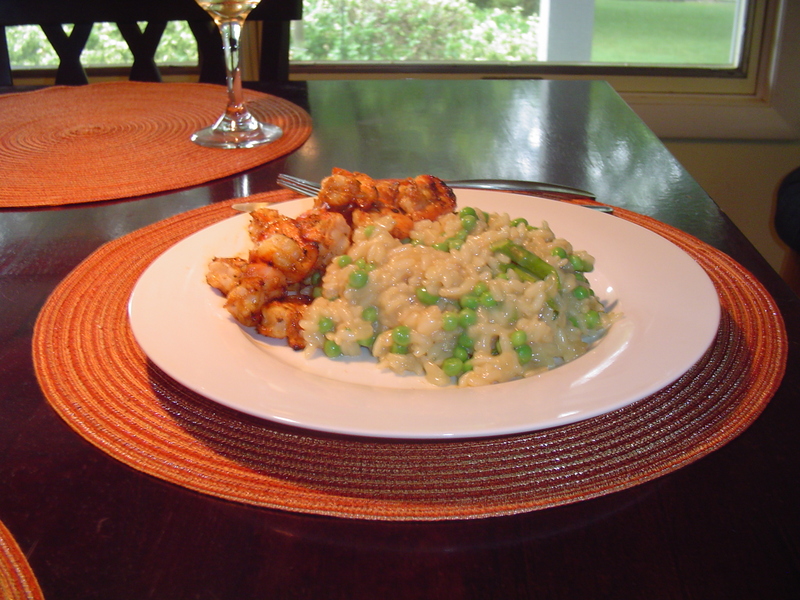 This is just a basic risotto recipe from any cook book. I just put a pat of butter and parm cheese in at the end. I made some spicy, grilled shrimp also. Marinade : fresh lime juice, ground mustard, ginger, soy sauce, olive oil, sesame oil, tabasco sauce, cajun seasoning & garlic. I let the shrimp sit in the marinade for around 30 min. in the fridge, then grill. The creamy rice went really well with the spicy hot shrimp. This entry was posted in Dinner on July 12, 2011 by andrewsbeth. That looks so delicious! 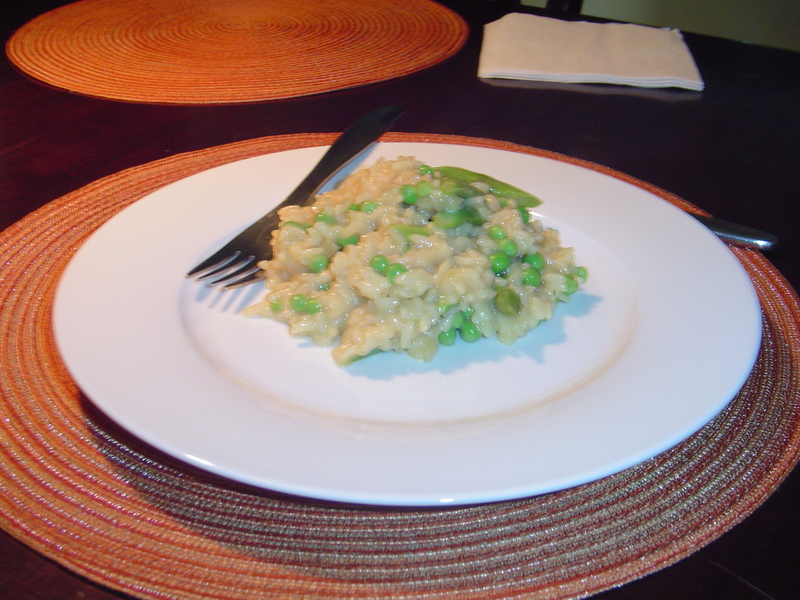 I love risotto and I love peas! That does look wonderful, and it has given me one use for all the veggie broth in my fridge! I suppose that makes it just the slightest bit healthier too. Sadly, however, I’ve already used up our peas for the week, and I’m already in mourning since Matt said they were probably our last. At least that means fresh beans and tomatoes are coming soon, right? That would be great with your veggie broth. I am looking forward to the different kinds of tomatoes. They are my fav! !